There is much talk around batteries of late, especially with Australian Federal and State Governments announcing schemes to reduce the costs for households to install them. As great as the idea of battery storage sounds, it is important to you know what you are signing up for and what you are eligible to receive. Here is a little overview of the South Australian Government Home Battery Scheme and some tips around buying batteries. The average sized battery we recommend for a home is 10kWh. Depending on the brand chosen, this size battery can cost around $8000-$10000 after the rebate is applied. If you receive solar feed-in credits under South Australia’s statutory feed-in scheme, you will no longer be eligible to receive them when taking part in the battery scheme. You may still get export credit from your retailer depending on your contract. Currently the only eligible batteries under the scheme are sonnen and Alpha ESS, however from January 2019 it is expected that all CEC-approved batteries will be eligible. How much battery storage do I need? Batteries function best when they are fully charged and controlled discharged every day. If you already have solar panels, we recommend looking at the amount of electricity you export per day in during the winter months and sizing a battery system based on this data. For example, if your electricity bill for April to June shows that you export 600kWh, that would equate to approximately 6.6kWh/day. We would therefore recommend a 5kWh battery, or alternatively, installing more solar panels and a larger battery system. If you do not yet have solar panels, then you need to look at your current electricity usage and patterns, budget, roof size and other complexities. Give us a call and we can help you through the process. There is also a simple calculator on the government website www.homebatteryscheme.sa.gov.au that you might find useful for an estimate. 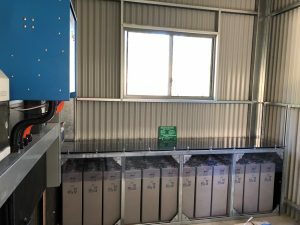 Lithium ion is not the only choice – this is an off-grid system designed and installed by Tandem Energy partnered with MyEnergy Engineering that uses lead-acid gel batteries. I can’t afford a battery, what are my options? If you currently export a lot of electricity from your solar panels, a battery isn’t the only way to capture that excess. You could consider installing equipment that allows you to divert the excess energy into your hot water system or pool pump. If you have gas appliances you could consider converting to electric. Also consider running your dishwasher, washing machine and other timed devices during the day. A first step to making the right battery storage decision for your home can be to install monitoring in your home. A visual display of the energy you are using and your solar production will help you understand and change your behaviour in preparation for installing battery storage. Monitoring systems start from $300 fully installed. If you decide that you really want battery storage, the competitive finance offered through Ratesetter allows you to install a battery now and start paying it off while receiving benefits in reduced electricity costs (please note this is not a financial recommendation, purely one of the available options). Why is there such a big price difference between brands? Like everything, the price of batteries is based on manufacturing complexity, available features and branding and marketing. While battery technologies might be quite similar, the battery operating systems can vary significantly. Even though all battery systems purchased as part of this scheme have to be virtual power plant (VPP) ready, some have added features. 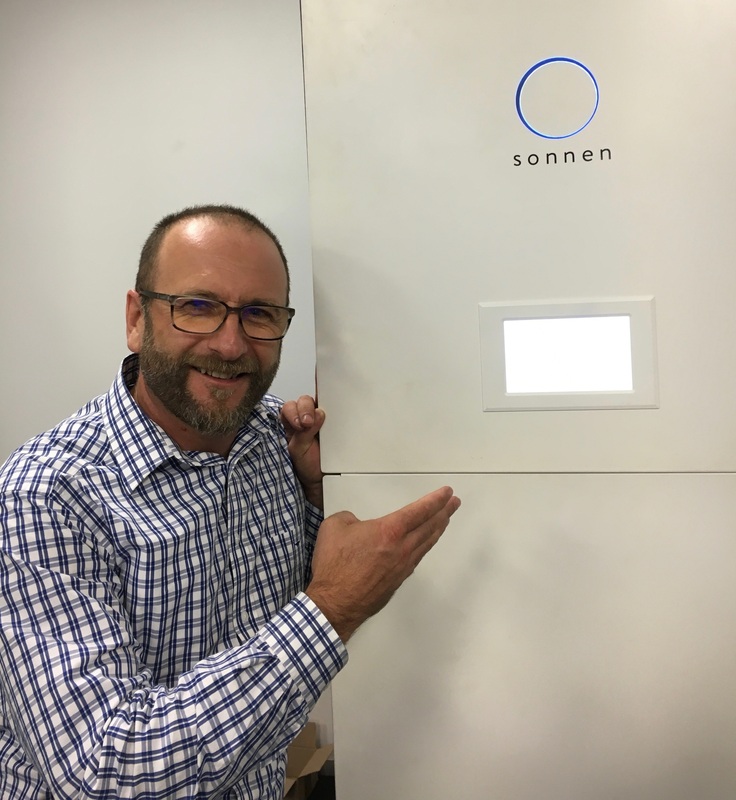 sonnen equipment is currently being used in battery and VPP trials around the world. Their system learns your home’s consumption patterns as well as checks the weather to ensure the battery performs at its peak. Visit their website for more details. Do I really need all the bells and whistles? If you are already a switched-on energy user (see what we did there!? ), who knows what your solar system consumes and are careful with your household consumption, a basic battery system will probably be fine for you. You will need to be prepared to watch the battery depth-of-discharge and status and make adjustments as needed. If on the other hand, you want a system that you can set and forget, a battery system with smarter controls is recommended. This will ensure battery longevity and the best return on your investment. Will I automatically have backup power in a black out? Not necessarily. Depending on the battery, this may be an additional extra (around $2000) so make sure you ask if this is important to you. Another thing to note is that when the grid power does fail your solar panels will not be generating electricity. This is due to the fact that any excess energy generated by your solar panels will have nowhere to go; the grid is not available to take the excess. The system can be set up to counteract this, however, again, there is an additional cost involved. Is my investment in a battery storage system ever going to pay for itself? At current electricity prices, a battery storage system is likely to pay for itself in around 15 years. It is important to note that markets and electricity prices change over time which will ultimately alter your payback. We recommend your decision on battery storage is based more on technical or ethical considerations rather than financial. If you want to reduce your reliance on electricity retailers, ensure you have power when there is a blackout, encourage the development and uptake of new technology, or make full use of your solar panels, then you might think about how installing a battery system will fit within your budget. Another consideration is that as of January more batteries will be approved under the scheme, driving prices down. It may be advisable to wait until the new year and see what is on offer. Your question not answered or want to chat to an expert? Tandem’s Tom Brdanovic is a CEC-certified solar and battery designer and off-grid installer. He is happy to answer any questions about solar or batteries so get in touch on 0411403257 or tom@tandem.energy. Alternatively, click here to leave your details and one of our team will be in touch. Lynda is a sustainability consultant and business manager for Tandem Energy. Her expertise are in staff management and behavioural change within large organisations and she is an experienced trainer and facilitator in sustainability. Building Upgrade Finance – is it right for you? Tandem Energy are proud supporters of South Australia and a Founding Partner of Carbon Neutral Adelaide.